Very Heavy snow on the way for parts of the Midwest on Thursday as a rapidly intensifying storm system moves northeast into the area. This system will be on the verge of bombogenesis, dropping ~20mb in a 24 hours time period. Confidence is on the rise as much of the major computer models are forecasting this solution. The area with the highest uncertainty falls in central Iowa to Green Bay, as mixing and how rapidly the cold air wraps around will play a major role in total snowfall, right now 1-3" looks like a safe bet. 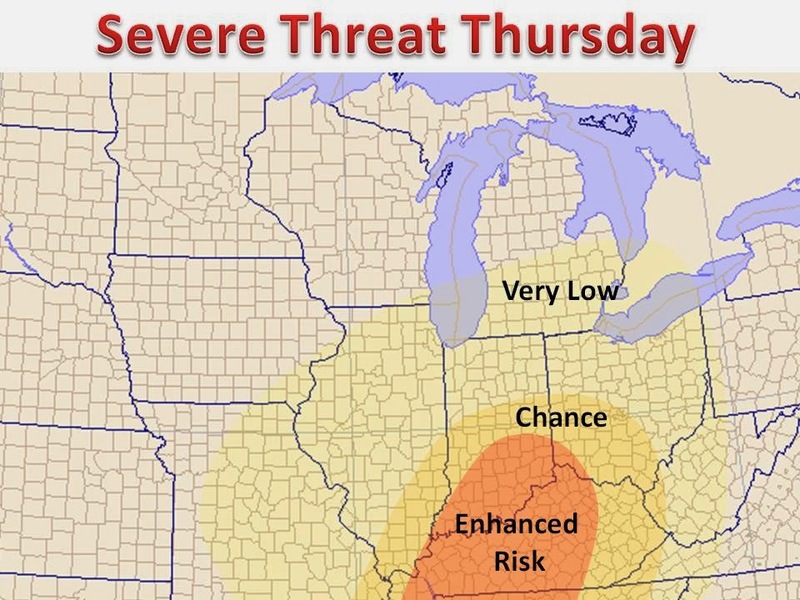 Greatest severe threat has shifted slightly to the south. On the warm side, this storm looks to bring the first real severe weather threat of the season. As warm gulf moisture crashes into yet another surge of arctic air (yes the cold will return in full force by the end of the week). The main threats look to be heavy rain and large hail, with damaging winds also possible in many areas. The highest threat, at this time, appears to be in the Ohio River Valley where the best atmospheric dynamics will set up. 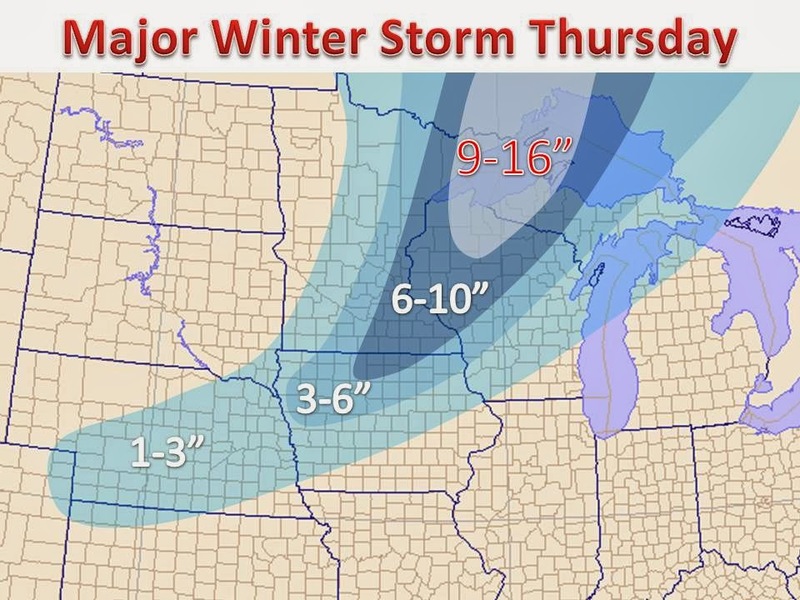 It will be interesting to see how the snow cover effects and possibly limits severe weather potential on Thursday. 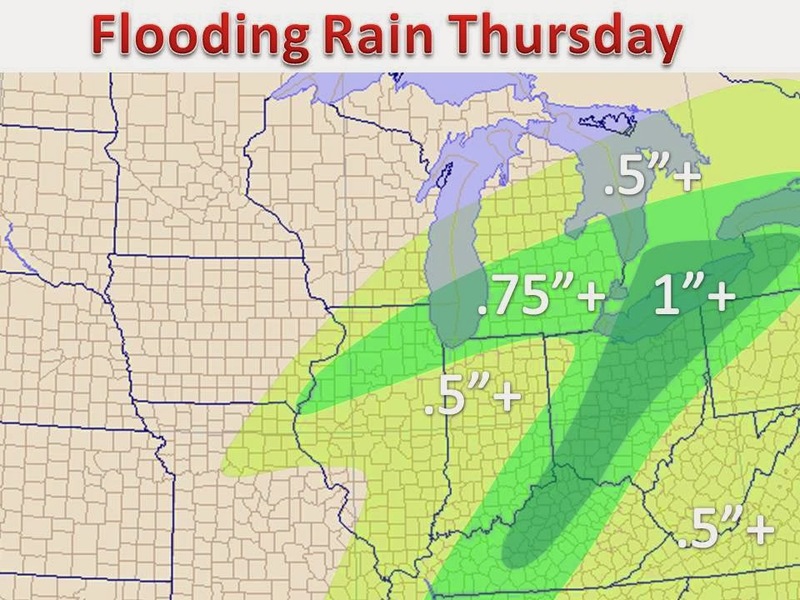 *Added in an over inch of rain area.